Matt and Chris were very pleasant and professional. They arrived on time.Matt answered all my questions. Excellent service. Thank you. Matt and Chris were very pleasant and professional. They arrived promptly. Matt answered all my questions. Excellent service. Thank you. The guys were very thorough. I was very pleased with the high level of their professionalism. I appreciated that he didn't laugh when it was just the batteries. However I can't change them so it was worth it! And it was prompt and on time! Chris was very efficient and explained what he was doing. He seemed to really enjoy his job. Matt arrived and was able to spot the problem very quickly. He fixed it and was able to get it working right away. Aric was friendly, clean, professional, and very helpful! Did a thorough job! Highly recommend! Every year we get our garage furnace and our house furnace checked and serviced. I am very pleased with the job they do cleaning. The technician answered all my questions and did an awesome job cleaning up I would recommend this company to anyone and this technician thank you again for a job well done. Great job. Very efficient and most pleasant. As always, Matt was friendly and efficient. He takes the time to answer our questions and is very respectful of our property. We would highly recommend him to anyone. 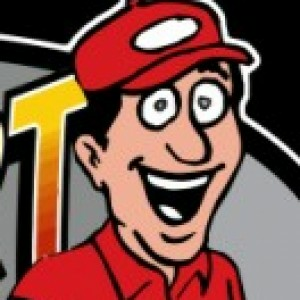 The Comfort Guy is very fortunate to have someone of Matt's calibre working for them. Chris did a good service on our furnace but I am still waiting to hear back re hot water tank repairs to one of the water connections. Please call me asap. Thanks from Bob. Matt is just the best of the best. He is polite, efficient and gets things done in a timely fashion. We appreciate your excellent service and thank you again for excusing us when we "screwed up" our appointment time. Matt is terrific in helping us with maintenance on our furnace, fire places and a/c. His co-worker Chris was terrific too! These guys are the best!